One of the world's first and most successful shared-ownership condominium lodges, *Iron Blosam Lodge* offers the visiting vacationer everything necessary for the perfect holiday in any season! A variety of accommodations are available, including one-bedroom loft units, studios and single bedrooms. 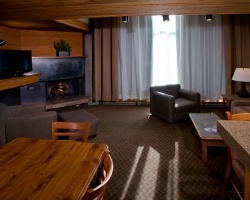 Most offer balconies with either canyon or ski mountain views, and some have fireplaces. Amenities at the Iron Blosam include a complete health spa with giant hot tub, outdoor heated pool, saunas and steam room facilities. There's also a video game arcade for kids of every age. Also located within the lodge is the Wildflower Ristorante and Lounge. Its superb Mediterranean influenced cuisine, and lively after-ski scene make the Iron Blosam Lodge the perfect place to return to at the end of the day. 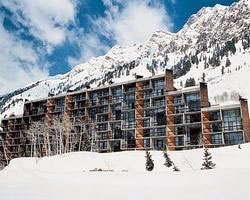 Go skiing in Utah's Wasatch Mountains! Yearly usage in December week 49! Buyer may receive a title fee credit; inquire for details! 2 Story Picturesque Suite with loft! Faces mountains with Deck and Fireplace! Bathrooms complete with dressing area. Unit Sleeps 6 - 8 people. Direct Mountain View Unit. 1 bedroom Lockout unit that can accommodate 6 - 8 people. Bathrooms comes with Private dressing area. Beautiful mountain retreat! Annual week 20 usage! 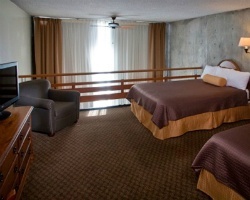 Conveniently located only a short drive from Salt Lake City! Inquire for details! Spend week 15 vacations exploring Utah's Wasatch Mountains or head to Salt Lake City, just a short drive away! Buyer may receive a title fee credit! Beautiful year round resort with many activities for all ages! Week 15! Buyer may receive a title fee credit, inquire for details!